John Noble may be best known as scientist Walter Bishop on "Fringe," but his interest in strange scientific stories extends into the real world. The actor – recently back to work after seeking treatment for a sleeping disorder – delves into these stories on the Science Channel series, "Dark Matters: Twisted but True." "It's kind of tongue in cheek or Orson Welles-ish," said Noble of the series. "Some of the (stories) are quirky or weird. We're telling stories from all over the place." Noble's performance on "Fringe" informed his role as host. "Playing Walter Bishop, I had to read pretty widely to make sense of what he was talking about," he said. "It seemed to segue very easily into this. It's probably the reason I'm hosting it, to be honest with you." Despite his voracious thirst for knowledge, the show has sometimes presented him with things he was not aware of. "There were things I knew vaguely but hadn't put into place. There are so many curious, wonderful stories." Now that he has one foot in science fiction and another in fact, how does he think the two relate today? "It's very difficult for science fiction writers to stay ahead of science fact, because of the rate of change today," he said. "People are dreaming up ideas, not unlike the times of Jules Verne. Now, sometimes by the time it's been published, something has happened to change the face of science fiction. Science fiction has proved to be a good indicator of where we're going. There is a blending with fantasy, which has sort of taken over. Fantasy is also a very valid and interesting area to explore." Noble believes that we've only seen the tip of the iceberg for scientific advancement. Noble spoke of a scientist friend who recently proposed a new theory on black holes. "He was so excited that this was a big breakthrough. This is happening all the time, and these things breed more and more invention. This is probably the most exciting time in science since – there was the Renaissance period, and the Industrial Revolution – I think this is the third, and I think, the most exciting period of science." All dark matter is nothing but gravity ( in the old school low stone) hole thing together. You can have an unappeasable (voracious) thirst for something, but you can't really have a loud thirst for something. This is a kind of malapropism. I think you do; vociferous is synonymous with "vehement," and also "passion[ate]." Different context, different meanings. Congratulations ... you get the "Vocabulary Police" award of the day! ... no go back to playing Halo in your mother's basement! 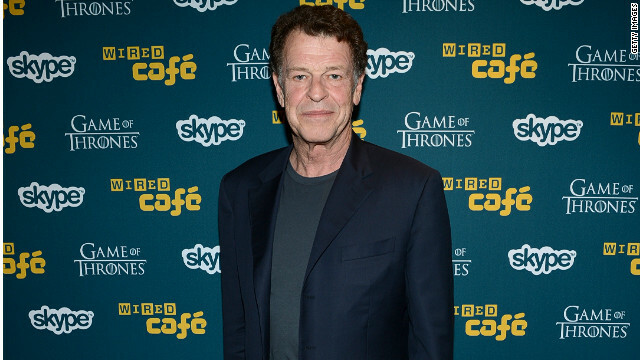 John Noble is pretty good actor. We know him for being as Dr. Bishop in Fringe. However, he also play as a minor character in Lord of the Rings: Return of the King. I seen "Dark Matter: Twisted but True" on the Science Channel. So far, my favorite part of the show "Dark Matter: Twisted but True" was the one on fully body transplant.